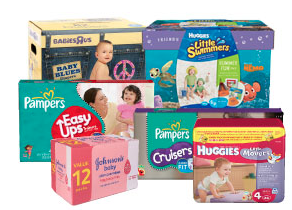 Profile Theatre » Diaper Drive for Portland Homeless Family Solutions! Diaper Drive for Portland Homeless Family Solutions! As we head into performances for The Call, we can’t help but think about all things parenting. The themes of the play: the call to parenthood, the yearning for children, the global implications of building a family, inspired us to think about how to support parents in our own community. So Profile is partnering with Portland Homeless Family Solutions on a diaper drive! Portland Homeless Family Solutions is a nonprofit with a mission to help homeless families with children. Their shelter is just a few blocks from our theatre home. Can you imagine trying to keep up with diapering needs for infants and toddlers if you’re experiencing housing instability? It’s a serious need for these families. When you come to see The Call, bring diapers, wipes or diaper rash cream and leave them in our bin. We’ll deliver them to PHFS after the show closes!